Early September, it was time to get to work with an enormous group of over 320 teachers and more than 30 coordinators: the speed school team from Geneva Global. 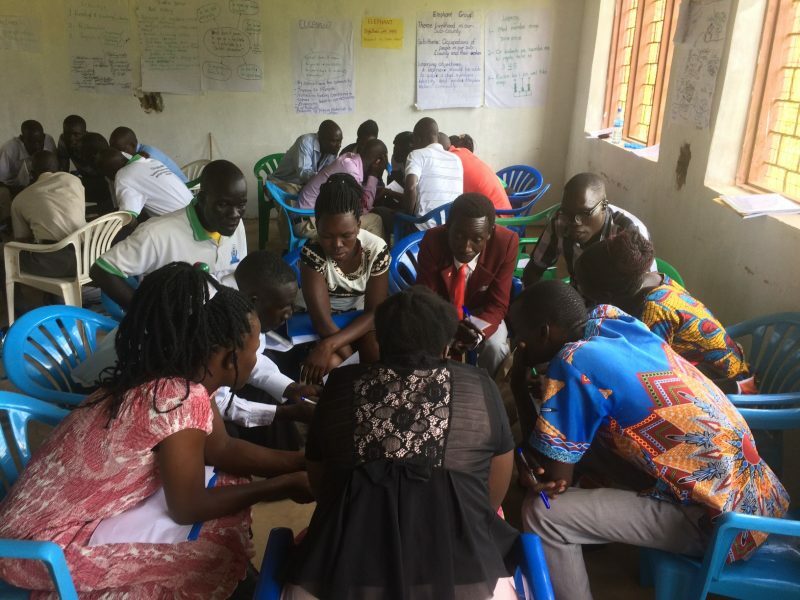 In the Northern region of Uganda, a speed school program has been running for the past couple of years, set up for children between 8-12 years who have never been to school, or who have dropped out of school more than 2 years ago. These children are placed in one of the over 300 speed school classes with a maximum of 25 learners per class, where they are taught the content of Primary 1, 2 and 3 in one year. After the speed school year, they enroll in Primary 4 at a regular primary school. In other words: a beautiful program that gives these children an opportunity to go to school as well. Quite the experience for them and for us! Divided over 3 days, we got to introduce the concept of ‘learning difficulties’ to all these teachers. And that’s when you experience that you can discuss less than you think in sessions of 3 hours… We noticed that when we received the teachers’ feedback at the end: we want to learn more about this! What is the difference between being an introvert and having an autism spectrum disorder? Can you pass on these difficulties to your children? Do all children who are easily distracted have ADHD? We were not able to explain all of this into detail during this introduction, but: hopefully we will in the near future! Looking at the excited reactions from the participants and Geneva Global itself, we may get the chance to work with them on a more regular basis to communicate even better what a teacher can do to be there for a child with a learning difficulty. A special moment during one of the sessions: while we were discussing autism spectrum disorders, one of the teachers stood up and asked a couple of questions. He turned silent for a second, and said: “I think it is me you are describing here.” He continued by explaining that he had always felt different as a child, had a difficult time showing interest in other people, and others found it difficult to engage with him as well. Such an honor to get to hear this because of this session! Of course we are offering this teacher all he needs to be supported during this process of recognition.